Can I get fired for filing a workers compensation case in California? Hundreds of thousands of Californians are injured while they are working every year. In 2014, more than 460,000 nonfatal injuries were reported by employers in the state, according to the U.S. Bureau of Labor Statistics. 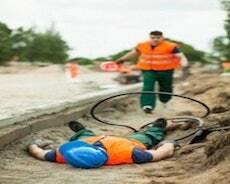 When people are injured while they are working on the job, it is illegal for their employers to fire them because of their injuries. Despite this, employers in California fire workers because they have suffered industrial injuries all of the time. If you have been fired because you were injured while you were working, an experienced Los Angeles attorney may help you to recover damages. There are several potential remedies that you might be able to pursue. In addition to a workers’ compensation claim, workers in California may file an additional claim under Cal. Labor Code section 132(a). Under this law, employers who fire, discriminate against or threaten to fire workers because they have been injured and intend to file a workers’ compensation claim are guilty of a misdemeanor. The employee may receive an increase of up to one-half of his or her compensation up to $10,000 and be reinstated to his or her former job. The employee may also be compensated for his or her costs up to $250 and receive his or her lost wages and benefits. Insurers who tell the employers to fire injured workers who have made claims may also be found guilty of a misdemeanor. They may be ordered to pay the workers’ costs and increased amount of compensation as previously outlined. You suffered harm as a result. In order to prove this type of claim, you must have requested a reasonable accommodation that would have allowed you to perform the duties of your job. Under the Americans with Disabilities Act, companies are required to offer reasonable accommodations to disabled workers if the accommodations would not cause substantial hardships to the employers. So if the workers compensation doctor states that you can return to work with certain reasonable restrictions (such as not being required to lift over a certain amount, being allowed to get up from your desk and stretch, etc. ), and the employer is aware of these requests but is unreasonable in not allowing the requests and, instead, terminates your position, this may be actionable as a wrongful discharge of employment. You have the right to request and to take medical leave to care for yourself under the California Family Rights Act. If your employer retaliated against you because you requested medical leave because you were injured on the job, you may file a wrongful termination claim against your employer. In order to prove this claim, you will be required to prove that you were eligible to take medical leave and that you either requested it or took the leave. You will then need to prove that your employer fired you or took another adverse action against you and that your medical leave or request for it was a primary motivating factor. Finally, you will need to prove that you were harmed because of the retaliation by your employer. In most instances where a work injury has occurred, the worker may need time off to deal with treatment. California requires employers to provide this requested medical leave time and prohibits a worker from being terminated in retaliation for making such a request. If your employer is taking adverse actions against you that you believe are in retaliation for suffering an industrial injury accident, it is important for you to document what is happening or what has happened to you. You should do so in writing with the human resources department at your workplace. You should also secure copies of your employment file, including your performance reviews and your injury accident report. You will also need to secure copies of your medical records to prove that your injury was caused by your workplace accident. Finally, you should contact an experienced lawyer to get help with filing your claim. It can be overwhelming to suffer a workplace injury. If you are injured at work, you have the right to file a claim for workers’ compensation benefits. If your employer retaliates against you because of your industrial injury or because you requested or took leave, it is important for you to speak to an experienced lawyer as soon as possible. Contact our office to schedule your consultation and to learn more about the potential remedies that might be available to you.